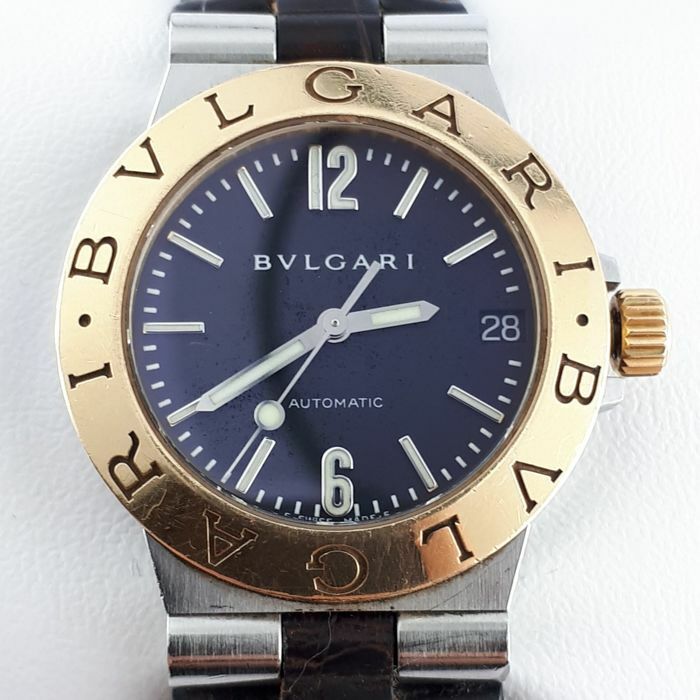 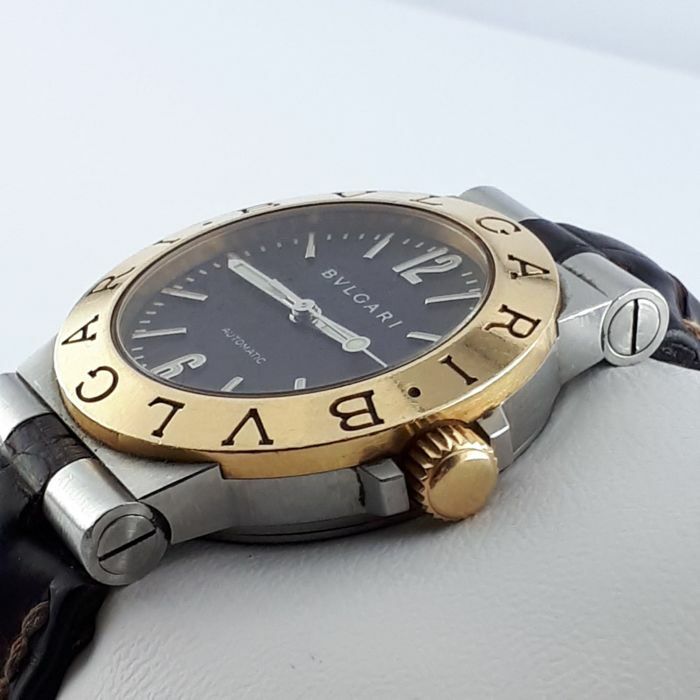 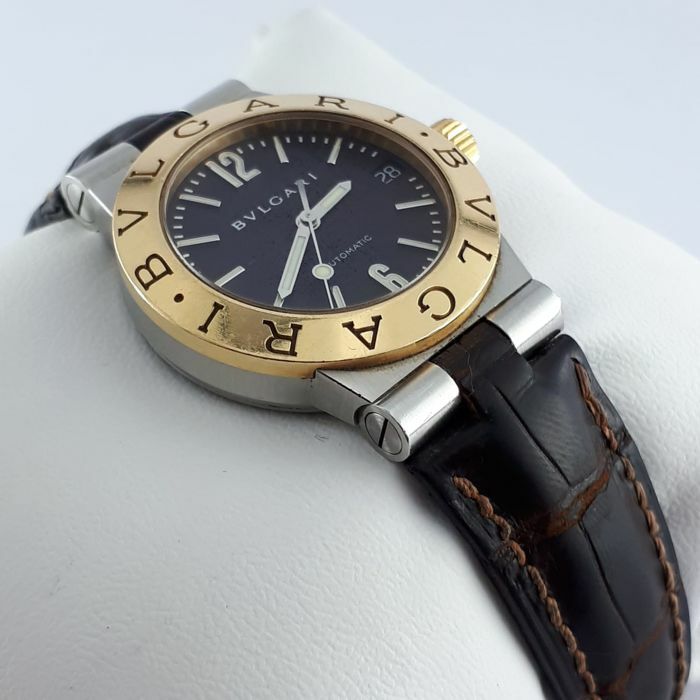 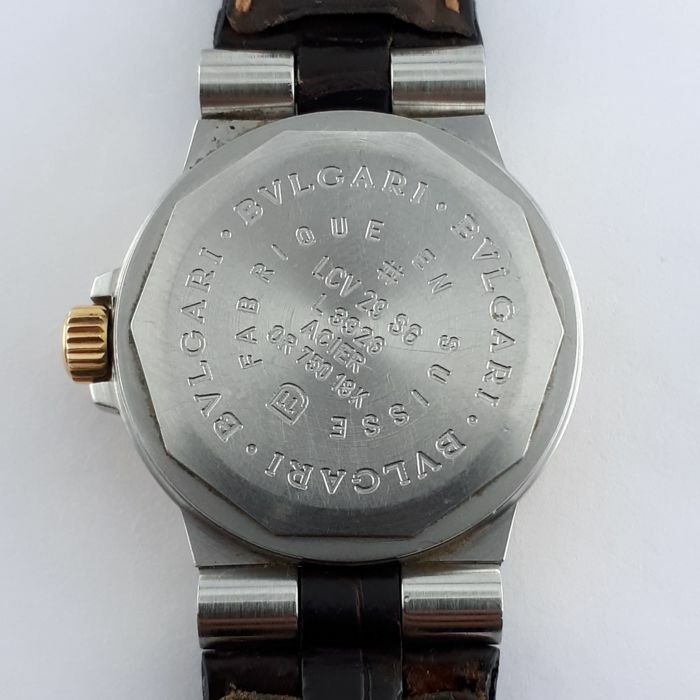 Details Bulgari Diagono 18K YG/SS LC29S. 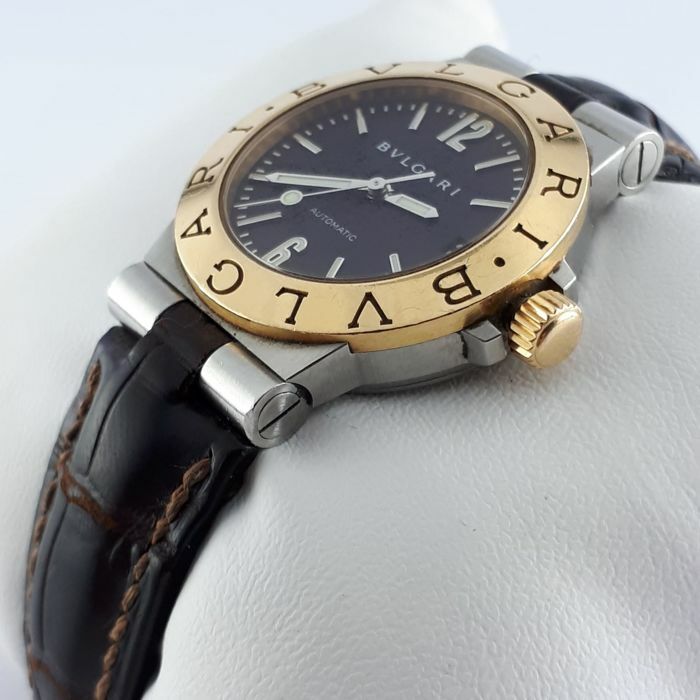 29 mm stainless steel case. 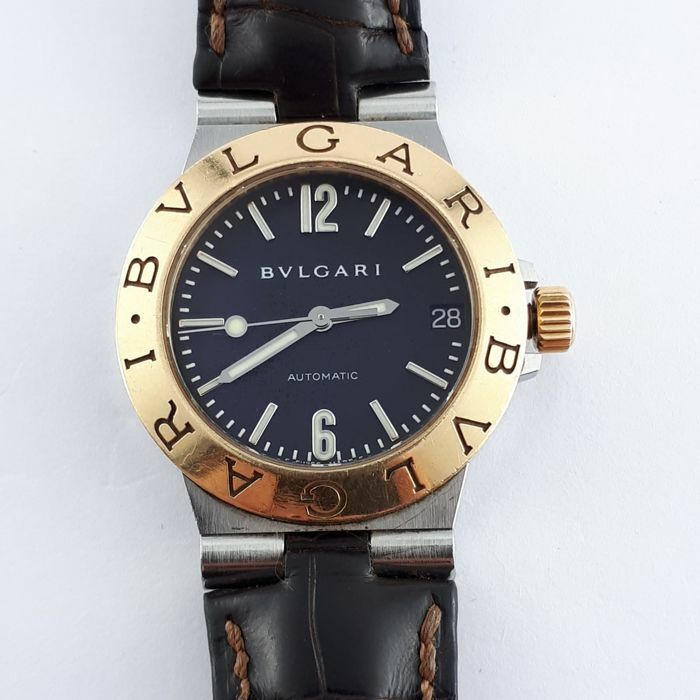 Black dial with date display and luminous hands and markers. 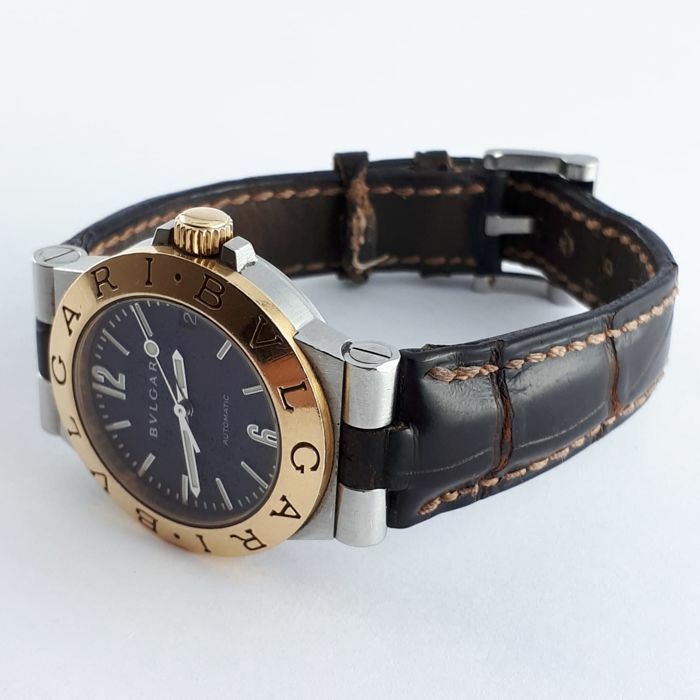 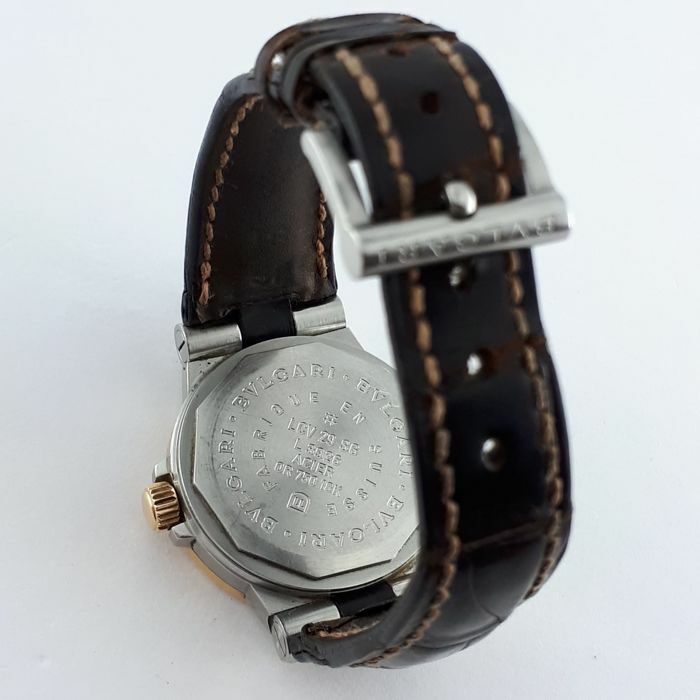 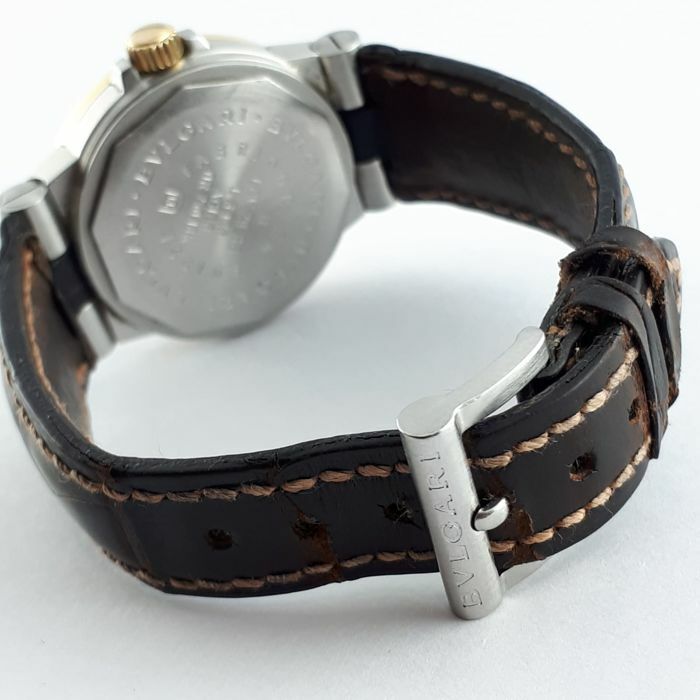 Brown leather band with stainless steel buckle clasp.